The 7mmNGA encourages narrow gauge railway modelling in all its many forms. One area that has become very popular in recent years is the primarily American On30 scale/gauge combination. The United States has not converted to metric and still uses Imperial measurements. Whereas British O scale is 7mm:1ft or 1:43.5, the American equivalent is 1/4 ins:1ft, which is the slightly smaller 1:48 scale. The Association is keen to promote this interesting facet of O scale narrow gauge modelling. Within the On30 Depot we are pleased to show examples of On30 layouts and rolling stock. Check out the Gallery section where albums of photos showing some fine On30 layouts are available for browsing. It is our intention to add to this database of modelling inspiration in the hope that you will be encouraged to investigate further this fascinating and rewarding scale/gauge combination. If you want to learn more, we have published an On30 Handbook, available from our Publications page for just £7.50+p&p (£6.75, no p&p to members). 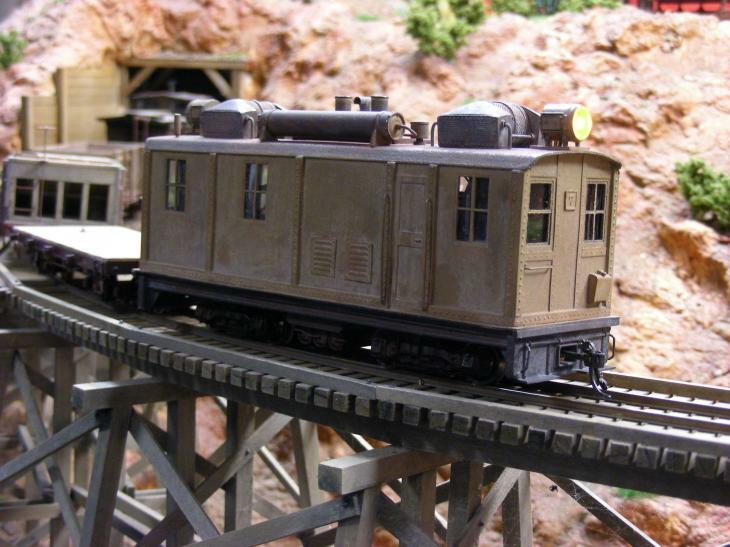 O scale has always been popular, both sides of the Atlantic, in standard gauge and various narrow gauges. In the UK, the most popular narrow gauges were around two foot. In North America, three foot narrow gauge was the most popular in overall mileage terms, with large rail networks in Colorado in particular. However, the State of Maine on the East Coast is famous for its two foot gauge railroads. In the early years of American railroading there were many more, built to a surprising variety of gauges, both narrow and broad. As the years progressed many of these lines either failed and were abandoned, or were converted to standard gauge. American model railroaders have traditionally laid their own track, which was useful when modelling 2ft and 3ft gauge prototypes as, until relatively recently, little commercial track was available. This meant that narrow gauge modelling was a rather niche market, relying greatly on imported and expensive brass locomotives and rolling stock, plus 'craftsman' kits. On30 as a scale/gauge combination (sometimes referred to as On2½, particularly in the American magazine Model Railroader) has been around for decades and represents 2ft 6ins (30 ins) gauge. Whilst this gauge was not common in the US, it does enable the use of standard OO/HO 16.5mm track, in the same way as British 7mm narrow gauge modellers use this track to represent gauges of around 2ft. Both are a compromise, but the convenience of being able to use a wide variety of commercial track generally outweighs the slight inaccuracies in gauge. On30 was popularised by the American division of Bachmann Industries Inc. in the late 1990s with the provision of a wide range of ready-to-run locomotives and rolling stock. For more details about this range, please follow the link to this page. A wide range of passenger coaches and freight cars are available from Bachmann, Slimrails (formerly Chivers Finelines) and several American manufacturers, both as ready to run models and as craftsman-style kits. We offer a constantly changing selection of pre-owned On30 items for sale to members. The condition of these items can vary enormously from as-new, mint and boxed, to projects needing some serious care and attention. Check out the "Rip Track" section if you are looking for a bargain or a challenge. (Rip Track is a common American railroad term meaning "Repair in Place", which seems appropriate). Check out the regular Sales List in each edition of Narrow News or e-mail our On30 Depot Sales Officer, Richard Coney at on30depot@7mmnga.org.uk. For full details, please go to this page. Not yet a member? Click here to join the leading Association for Narrow Gauge Modellers in the scales around 1/4inch and 7mm to the foot. In addition, please check out our Modelling Goods section where you will find a wide selection of 1:48 scale American O gauge detailing items from Grandt Line. You will find windows and doors for scratch building structures, detailing parts for freight cars and passenger coaches, complete interiors for passenger coaches and cabooses (cabeese? ), scale switch stands and even tiny mine skips. A selection of American knuckle couplers from Kadee, scale wood from Mount Albert and scribed plasticard from Evergreen is also stocked. All these are also available to non-members.